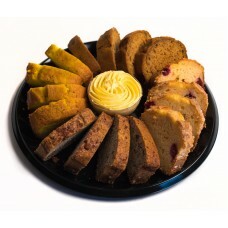 16 pieces of Quickbread wrapped around honey butter for morning coffee breaks!.. 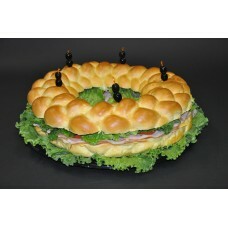 A 18" ring of challah bread with the customer's choice of meat, cheese and vegetables. Great for ser.. 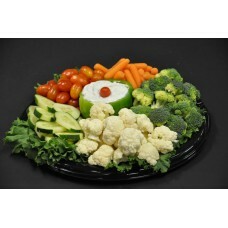 Seasonal vegetables served with ranch dip. - feeds approx 15.. 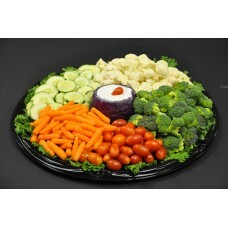 Seasonal vegetables served with ranch dip. 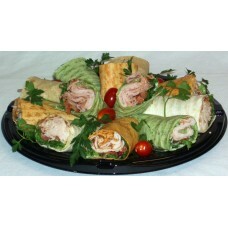 - feeds approx 35..
An assortment of tomato, spinach, and regular tortillas with a mixture of our deli meats and cheeses..